Check your twitter stream, Pinterest boards or Facebook pages and you'll notice that 'tis the season for baking! Whether you are making chocolate chip cookies, biscotti, or macaroons, the types of cookie sheets you use is quite important. 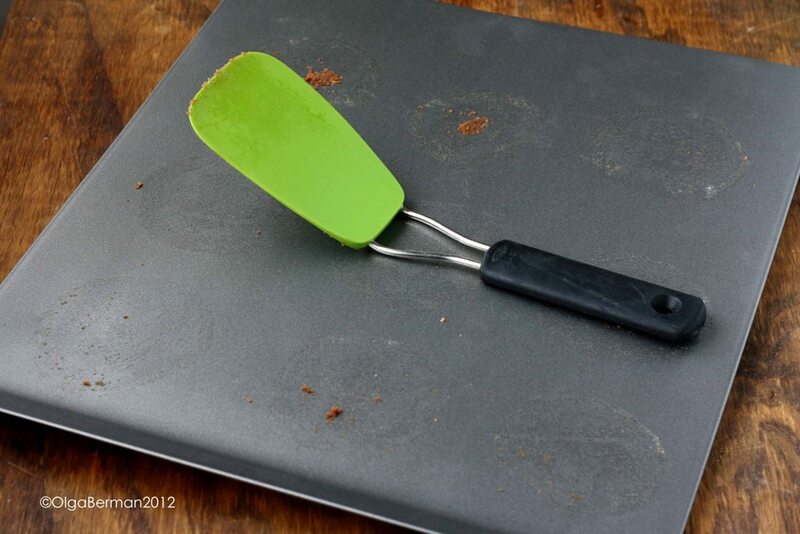 My cookie sheets, I'm slightly ashamed to admit, are not in a pristine condition. They are stained from curried potatoes and carrots and no longer shine. But they do still work, so I keep them. "Two heavyweight aluminum sheets surround a layer of air. The air reduces the temperature of the metal that comes in contact with the food." I decided to test these with some of the leftover Nutella cookie dough I had in the freezer. 9. 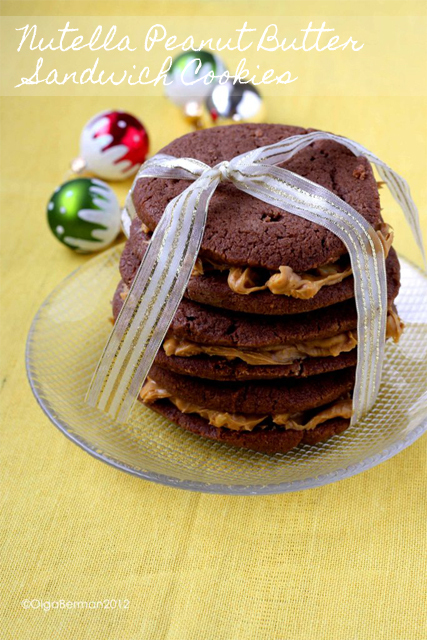 Once the cookies are cooled, spread one half with the crunchy peanut butter and top them with the rest of the cookies. As you can see, a tiny bit of the cookie dough did stick to the AirBake cookie sheets, but overall they performed well! Even though these cookie sheets are dishwasher safe, I decided to wash mine by hand, just to be on a safe side. The combination of Nutella and crunchy peanut butter was great! 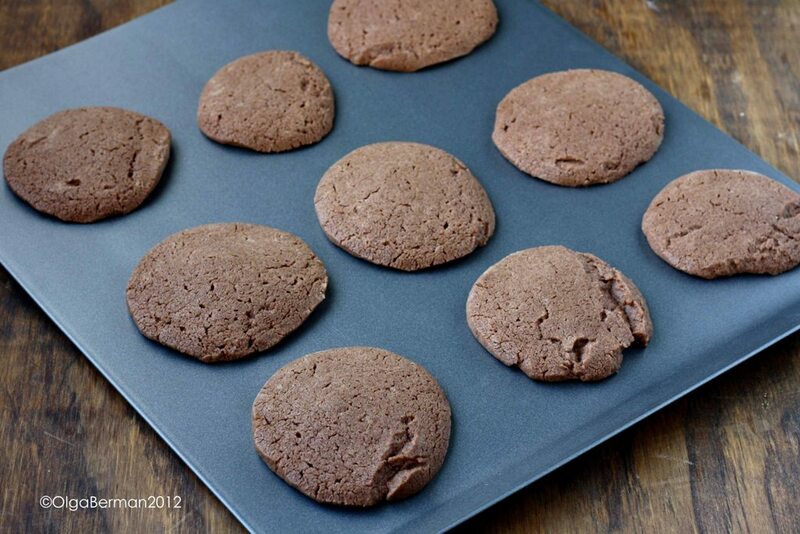 These cookies are quite large, so feel free to share them with those you ♥: I'm sure they will appreciate it. 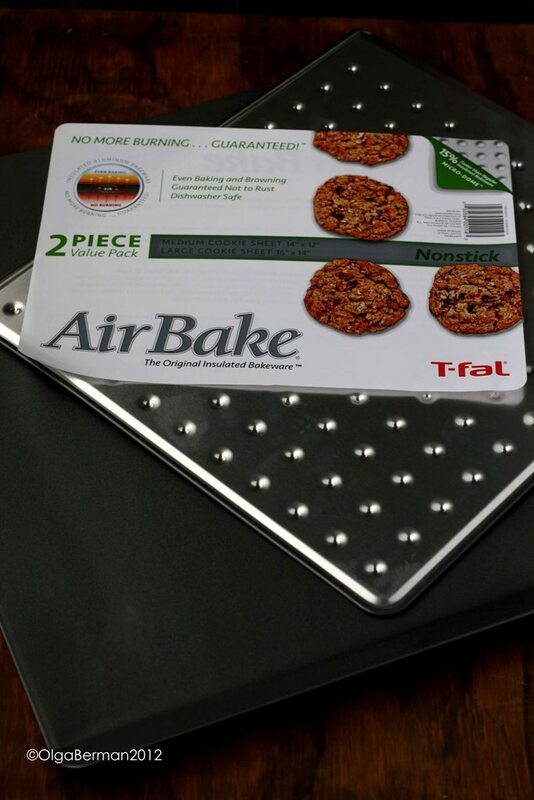 And now YOU can win your own set of two AirBake cookie sheets. 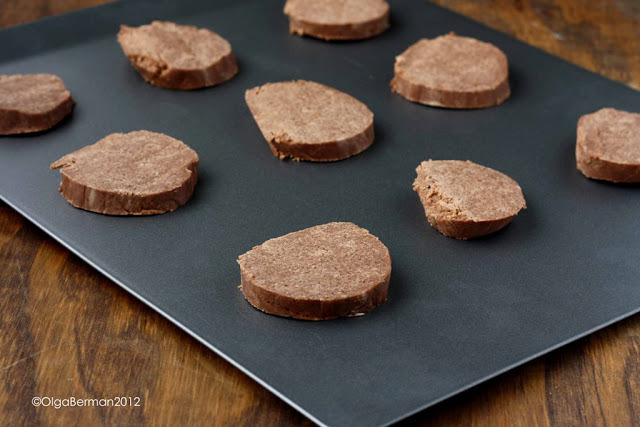 3) Leave a comment telling me what kind of a cookie you'd like to bake on these cookie sheets OR a link to your own favorite cookies. I will choose one random winner on December 24th! And the winner is EVI!!! Disclaimer: I was provided with a two piece set of AirBake cookie sheets but was in no way compensated for this post. All opinions are my own. 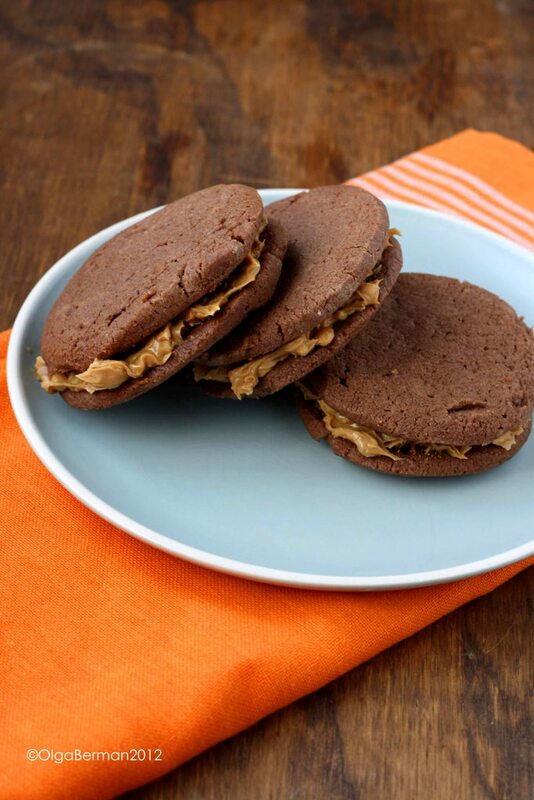 My favorite cookie recently - http://www.localinseason.com/late-winter/218-let-maple-warm-your-winter.html. But I need to try your recipe - 2 of my favorite things together! For some reason, I have been craving ginger snaps so i will say that is my favorite cookie. I am actually planning to bake a batch very soon and will post them to my blog. Snickerdoodles are a classic in our household, no matter the season! These photos are really beautiful. I love that little glass saucer. 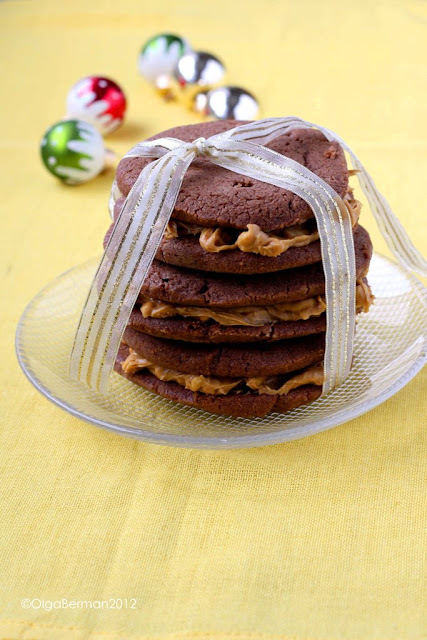 I'd like to bake these very Nutella cookies. It's Nutella... duh. Some pretty awesome cookies Olga. You just inspired me to bake some more cookies today. Yep, that's what's gonna happen straight away! I'm about to bake our winter/christmas cookies and am still deciding on recipes. We always make linzer cookies and this year we'll be attempting to re-create the sparkle cookie from J. Chocolatier in georgetown. If it says it can bake to cookies in less time, do you think it might bake the cookies too fast and over-cook them? Yours look like they came out perfectly though. Did you need to alter the cooking time? I don't know if I have a food blog, per se, but I do include recipes on my blog, so I figured I'd try. This weekend I'm looking forward to a batch of spiced persimmon cookies and another of my great aunt's signature gingerbread.